In the modern technology era, interconnect is the key element for designing integrated circuits that provides on-chip and off-chip communication path for various systems. The primary challenges for modeling interconnect are reduced propagation delay, power dissipation, and its power delay product at advanced technology. 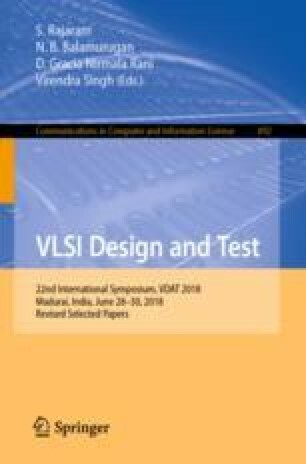 This paper critically addresses the performance of optical interconnects using equivalent electrical model that comprises of different composite materials. Using industry standard HSPICE, the propagation delay and power dissipation characteristics of graphene nanoribbon have been compared with other composite materials. It has been observed that the propagation delay for graphene nanoribbon can be improved by 99.91% as compared to other composite materials. The power delay product of the proposed graphene based interconnect model is 59.73% lesser compared to other composite materials at 22 nm technology node.